Because biases can occur depending on the people holding elected offices, district voting lines tend to mirror the values of the political party in charge rather than the voice of the constituents that live in those areas. While partisan gerrymandering, separating individuals by party, is technically considered unlawful by the constitution, racial gerrymandering, or the separation of people into districts by race, is unconstitutional. Allison Guzman's project will study the legality of redistricting and if the recently improved maps went far enough in correcting the district lines. 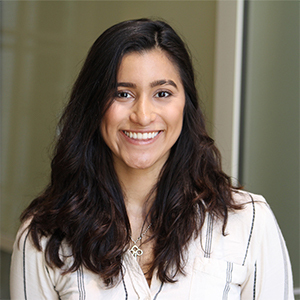 As an ethics, history and public policy major, Guzman has learned the formal research skills necessary to identify and analyze relevant sources and compile information to draw relevant conclusions. Previously, she conducted research with Lisa Tetrault, associate professor of history, to search databases and collect information. Previously, Guzman was a student in the Washington Semester Program and interned for Senator Bob Casey's press office. Throughout the experience, she had the opportunity to witness how the government works from a first-hand perspective.